Permanent tent structures can be found at airports, marinas, construction sites, sand and gravel companies, and military bases just to name a few. They can also be used for event venues, campsites, and at other recreational locations. The uses for permanent tent structures are virtually limitless. So how do they stack up against the alternatives? Why Use A Permanent Tent Structure? Portable - Permanent tent structures, though their purpose is for permanent use, are portable and can be relocated easily if the need should arise. Wood and metal are much more difficult to move, if not impossible. When it is possible, the expense is significant. 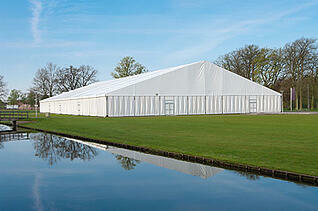 Less expensive – Permanent tent structures are much cheaper than their metal or wood counterparts. Much faster to build/install – Tents are easy to set up and tear down when needed as opposed to the time it takes to build and install metal or wood structures. Metal or wood structures are much more difficult to dismantle. All permanent structures are a large expense, but tents can be relocated - saving you money down the line if you need to move them. Resistance to the elements: A quality permanent tent structure should have a solid framework and foundation that can resist high winds and storms unlike temporary structures. It’s also important that your structure’s fabric be flame-resistant in accordance with regulations and leak-proof in order to protect the individuals and materials housed beneath it. Durability: Your permanent tent structures frame should be strong; it shouldn’t bend or break under snow or high winds. Invest in strong fabric to ensure it won’t rip. Weaker materials mean more frequent repairs and increased cost, so ensure you start out right. Easy to maintain: No one wants high maintenance costs. While every structure will require some maintenance and cleaning, select a fabric that is easy to clean and maintain. Here are just a few maintenance tips for permanent tent structure care. While wood and metal structures may seem appealing, remember that they will likely be in the same place whether you like it or not in a few years. Permanent tent structures, on the other hand, are not only less expensive but offer much more flexibility. 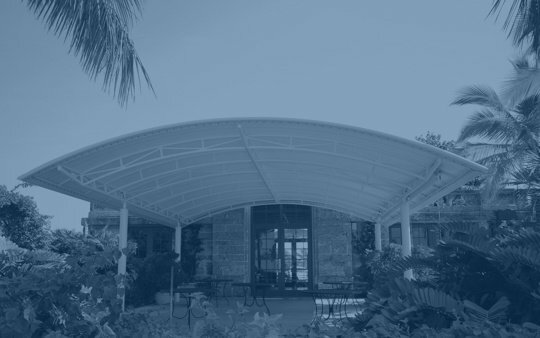 Trends change quickly, and you should have the ability to change things up while simultaneously offering the same safety and security that other permanent structures offer. Learn Why Tent Rental Shops Need to Prioritize Commercial Tent Maintenance by downloading Herculite's whitepaper.